Now introducing The Dream Machine 2! This new enhanced dream has new designs and stitches, a new 9.5" x 9.5" frame, and can go wireless with the new BES 4 cloud! The DreamWeaver XE is a member of brother's newest family, the V Series. This family boasts whisper quiet technology while providing the largest workspace. The DreamWeaver XE uses the large 12" x 7" hoop and comes with top of the line accessories such as the rolling luggage, V-Sonic Pen and the MuVit Dual Feed foot. The DreamCreator is the younger sister in the V Series. It boasts the same quiet technology, largest workspace and 12" x 7" hoop, but comes in a surprisingly affordable package. This bundle is all about the accessories and comes with the rolling luggage, PE Design Plus software, Mobile Scanner, and more! With its large touch screen, merge feature, and spacious 10" x 6" hoop size, the NQ3500D is surprisingly affordable. 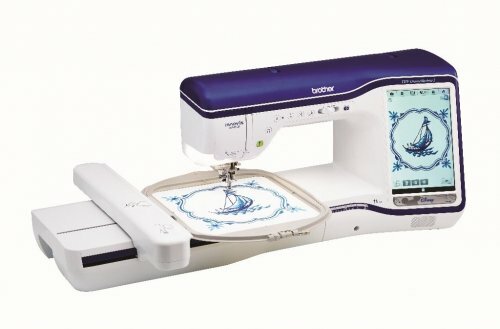 It has a USB port for easy design imports, as well as several built in embroidery designs - including Disney! This is a perfect all-in-one machine for any hobbyist, beginner or advanced. 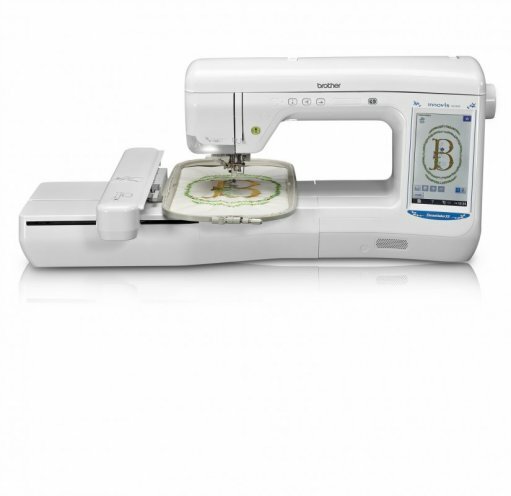 The 990D is a compact and hardy little sewing and embroidery machine with a 4"x4" embroidery area and USB port. This is a wonderfully portable and versatile machine. With all the features of the PR1000e and more, the new ProX has 5x the scanning speed and 3x resolution of previous models. 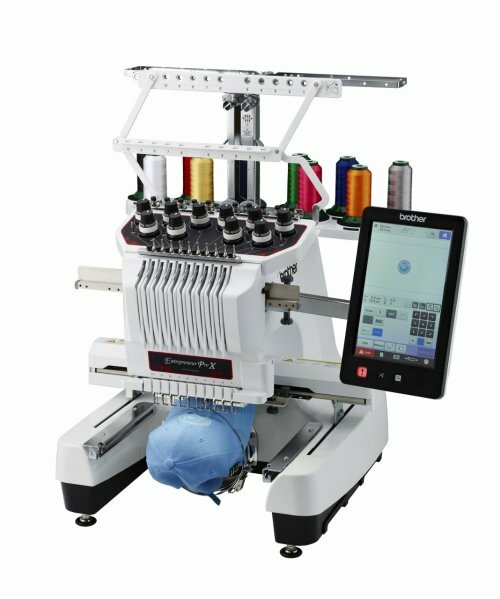 The ProX has new enhanced built-in embroidery editing, a scanning frame and Design Center, and much more. 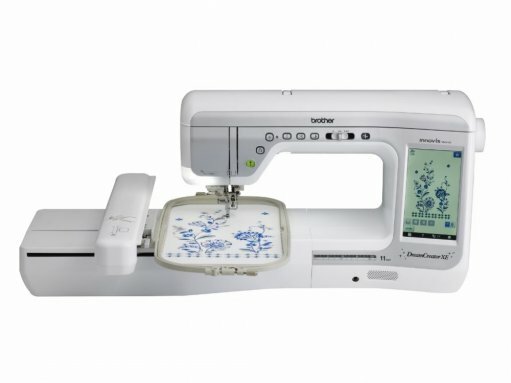 The search for the perfect small business embroidery machine ends here. 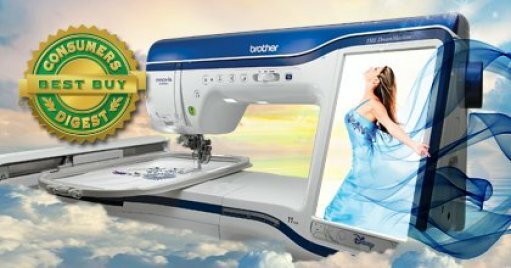 A pinnacle of perfection, the Entrepreneur® Pro PR1000e 10-needle home embroidery machine truly is the “Perfect 10.” The PR1000e comes equipped with some of the most powerful design and editing capabilities ever built into a multi-needle embroidery machine. This machine has a built in camera, uses the large 14" x 14" hoop, and has the enviable ability to embroidery luggage, shoes, boots, hats....you name it. The PR655 is PR1000e's little sister. 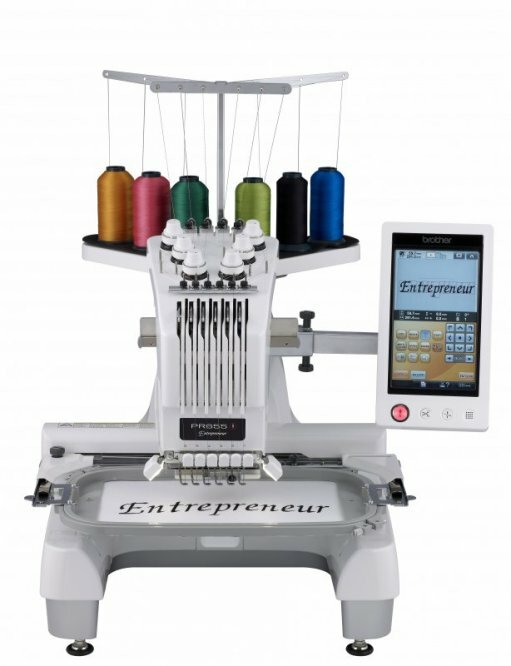 This machine has six needles and many of the same abilities and hoops as the PR1000e. 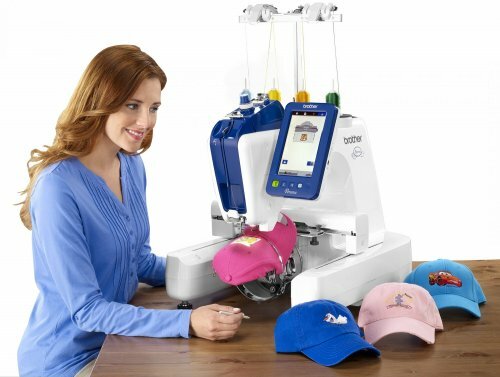 The PR655 has an LED embroidery positioning marker, embroiders a 12" x 8" area, and is capable of embroidering shoes, hats, luggage, and more! The PRS100 has the versatility of the PR series with the price of a single needle. It includes the coveted hat hoop and has an 8"x8" embroidery area. The DreamMaker is a member of the stellar V-series line and certainly lives up to its name. 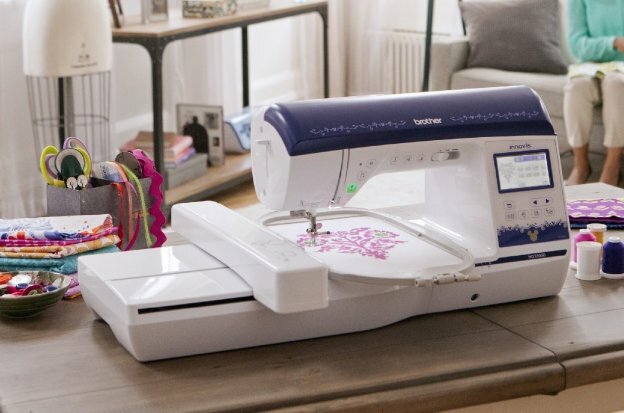 The DreamMaker is surprisingly affordable, without losing any embroidery power. 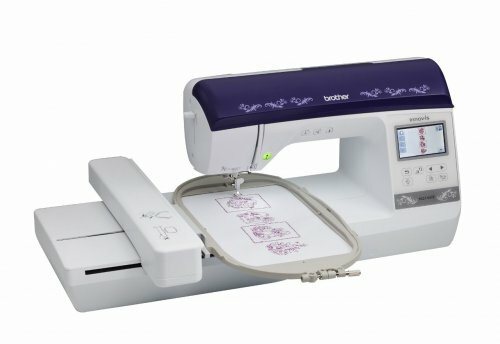 It embroiders even faster than the 10-needle! 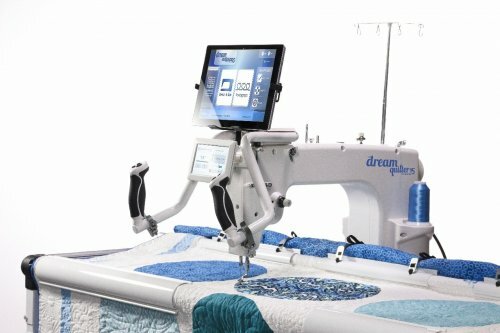 The DreamMaker has an expansive 12" by 7" embroidery area, LED lighting, the V-Sonic Pen Pal and more. This mid-weight machine feels like top of the line. 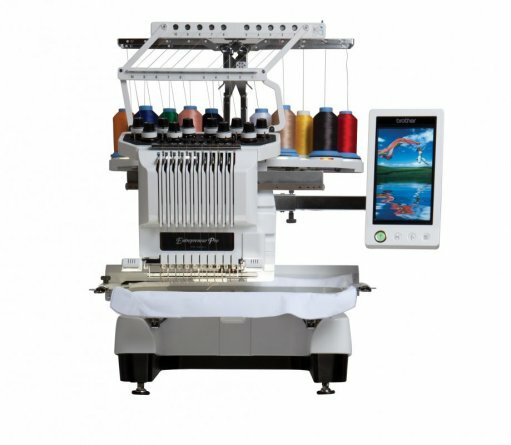 It embroiders faster than previous models at 850 spm, has a color touch LED screen, and a spacious 6x10 embroidery area. 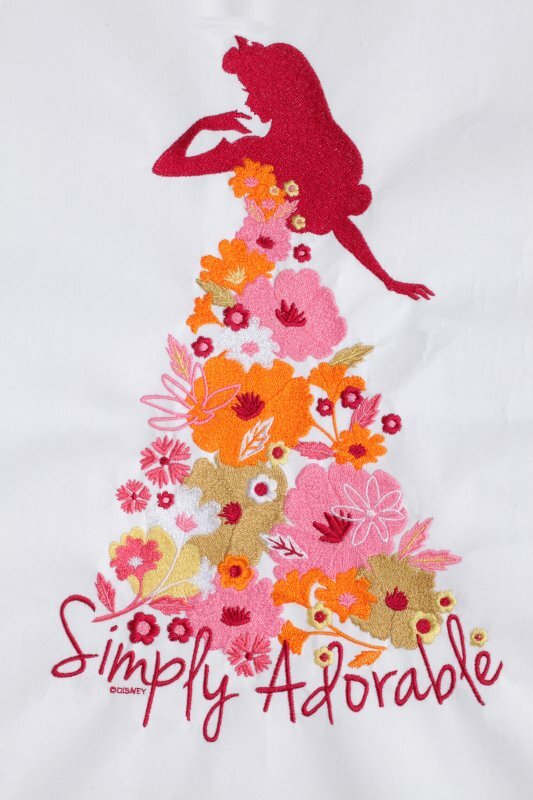 This addition to the Simplicity line suits all of your basic embroidery needs with a touch of flair. With a max hoop size of 7" x 5" and included premium software, BES Lettering 2, this machine is a wonderfully affordable package. 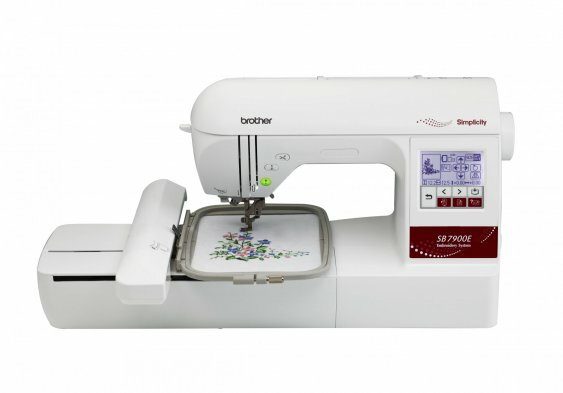 The Simplicity SB7050E is a very affordable introduction to embroidery. It is a great way to get your feet wet, or even just to embroidery monograms and add personal touches for friends and family. The SB7050E embroiders a 4x4 area, and comes with free Embroidery Lettering Software valued at $119.95! We're swooning over our newest family member. 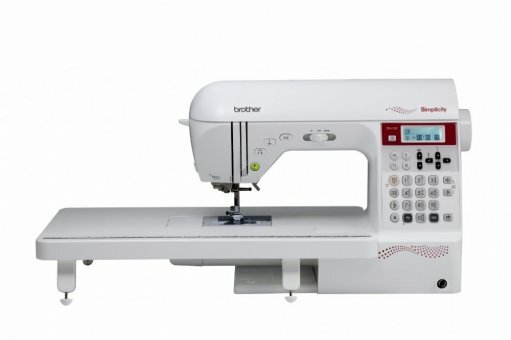 This mid-arm quilting machine has adjustable handles for your quilting comfort, M-class front loading bobbin, and speed. 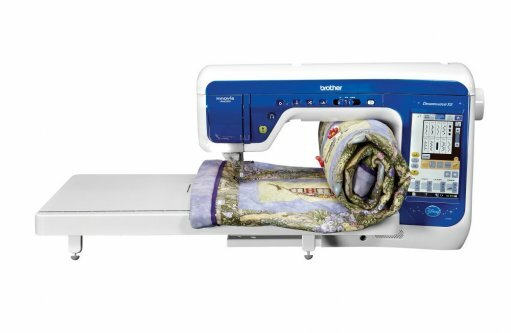 Paired with our Dream Fabric Frame, you'll be able to quilt all of your creations at home with ease. Take it a step further with our new quilting software, Dream Motion Pro. The software takes over all the motion and quilting while you can sit back and relax. Call us to preorder yours now at a special price! 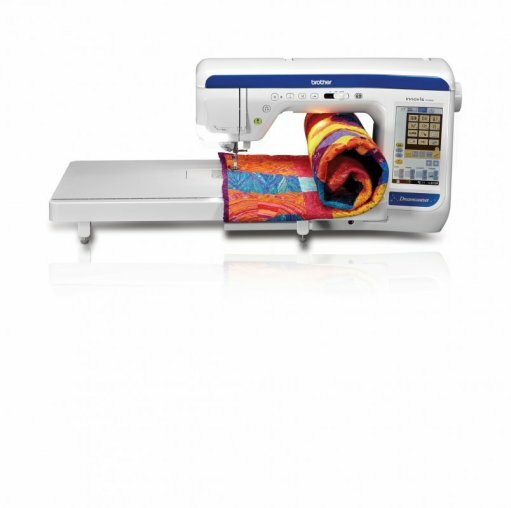 As another member of the V-series family, the DreamWeaver brings quilting and sewing to its most luxurious level. 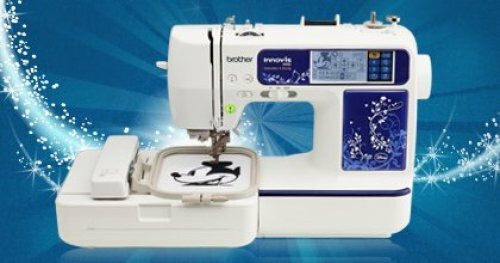 The DreamWeaver continues the V-series standard of excellence with the largest workspace, smooth, quiet sewing, and the incredible MuVit Dual feed foot and V-Sonic Pen Pal. 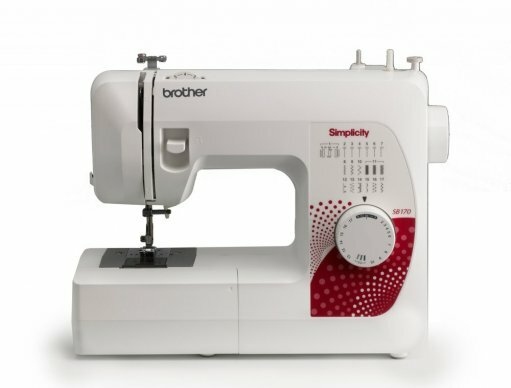 This machine truly is the sewing matriarch. 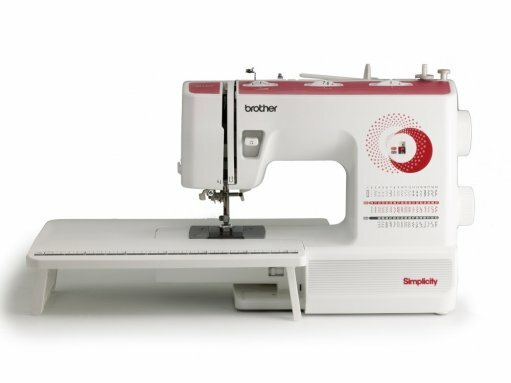 Brother's limited edition simplicity machine offers advanced quilting and sewing techniques without the high price tag. This machine has seven feed dogs and 10 styles of one-step auto-size buttonholes. The SB4138's size and sturdiness lend to the versatility of taking it to classes and vacation without sacrificing sewing quality. Rated "Best Buy" in Consumer's Digest, this machine is a favorite. The SB3129 is a mid-weight champion sewer with 10 one-step auto-size buttonhole styles and includes a wide table and hard case. Best of all, it couldn't be easier to master. 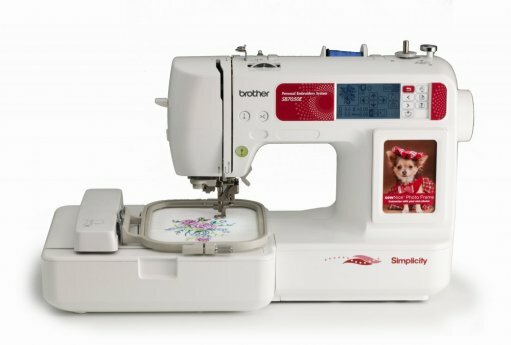 The most affordable in quality computerized sewing, the SB700T is easy to use and lightweight for classes and portability. The SB530T is a simple mechanical machine with a threader and included wide table. 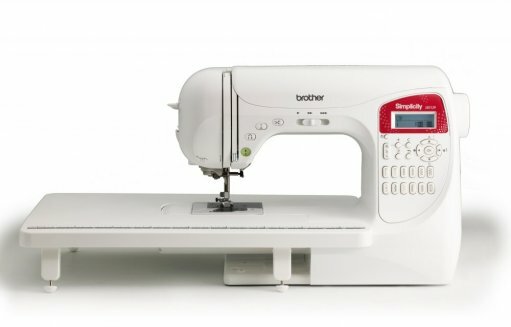 The SB 170 is an easy to use first time sewing machine. 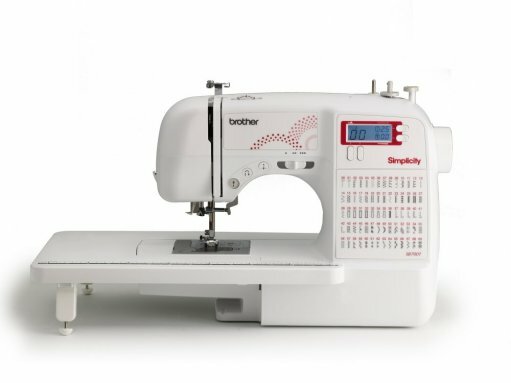 This mechanical machine is compact, lightweight, and a great introduction to sewing.